Marketing has always relied on innovation, but these days professional marketers have to sift through more noise than ever. There are plenty of tools and trends—the trick is finding the ones that are truly effective and cost efficient. There are many directions that marketers can turn for innovation and growth, but a few newer technologies stand above the rest. Here are a few uses of cutting-edge innovation that are being used to propel brands in 2018. It’s 2018 and video is everywhere. It’s also non-negotiable in marketing. 80% of Twitter users watch videos in their feed. 500+ million hours of video has been watched on YouTube in the last 24 hours. 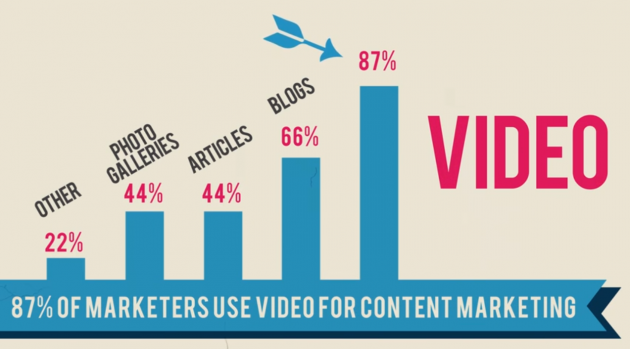 51% of marketers worldwide say video marketing has the best ROI. If you’re just getting started with video marketing, we have good news for you: new technology in the video creation and editing space is making video marketing a breeze compared to years ago. Here are some of the tools that are simplifying and streamlining video marketing. GoAnimate creates fun and professional videos. Not every business needs to fuss with creating a set, lighting, and acting. Creating animated videos is quick, easy, and satisfies the video research phase of many customers looking for information. Host and collect video data easily with Wistia. Host your videos, publish them all over the internet, and see how customers interact with the video to gain rapid insights on your customers’ viewing habits and desires. Create silent videos for social media with cost-efficient Trint. Quickly caption your videos and create full transcripts to make your videos available for viewing when customers don’t want to turn up the sound (hint: 85% of Facebook videos are watched with no audio). Pro Tip: Use video transcriptions on web pages and social media descriptions to enhance that video’s rankings in search engines. Video marketing isn’t exactly new, but innovative tech is changing the way marketers approach it in significant ways. It’s easier, quicker, and more effective than ever before, which means you shouldn’t be ignoring it. Consumers are very savvy these days. They do their research and carefully select products from hundreds or even thousands of options. Many businesses are finding it’s not enough to simply list and sell products anymore. Home Depot augments paint colors on house walls. Customers can hold up their smartphone and see exactly how their home would look with a new color of paint. Hotels use 360-degree video to display rooms. 2D pictures of hotel rooms can be misleading, but 360-degree videos give potential guests the power to tour the rooms from a clearer perspective. 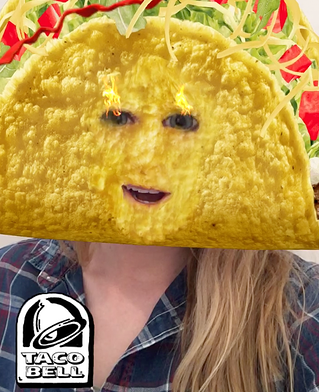 Taco Bell, Netflix, and Universal Pictures immerse Snapchat users. Turning faces into tacos, placing customers inside the sets of Stranger Things, and throwing dance parties with tiny yellow minions often produce “two times the usual benchmarks”. With augmented and virtual reality expecting to grow 50% year after year from 2018 to 2022, it’s not a matter of if customers will use this tech to inform their buying decisions. It’s only a matter of when. It’s clear that creative marketing approaches with this type of content can and will lead to an incredible ROI—especially for early adopters. Though voice searching and purchasing have been around for years, they’re hitting a new stride with the release of devices like Google Home and Amazon Echo. With these, consumers incorporate powerful artificial intelligence into everyday questions and decisions. 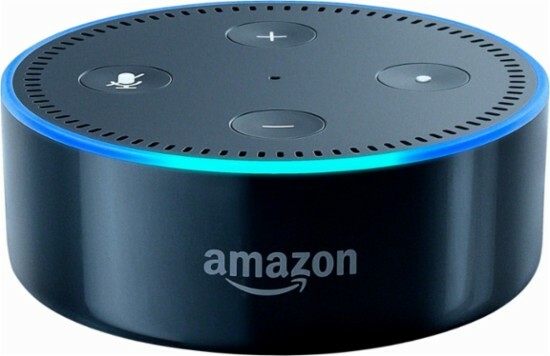 Here are a few examples of forward-thinking brands that are already developing Alexa Skills that connect customers with their products and content. Ask Stubb: "Alexa, ask Stubb for a BBQ recipe." GEICO: "Alexa, ask GEICO what's my account balance?" Starbucks Reorder: "Alexa, tell Starbucks to start my order." Smart speakers are now in 11% of WiFi-enabled households in the US. In the UK, as many as 40% of households will have a smart speaker in 2018. Do you have one of these handy helpers already? How can you provide valuable content and lifestyle-enhancing experiences to your customers or potential customers through home-based A.I.? Don’t think small—the current functions and features of this type of equipment on the market are only the beginning. There’s a lot of opportunity within these latest areas of development, but the most accessible of them is video marketing. If you want to explore more ways that automatic video captioning and transcribing can enhance your video marketing approach, feel free to reach out to us at support@trint.com.